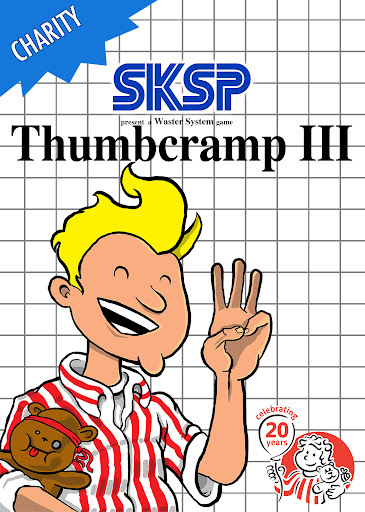 although it’s thumbcramp 4 this time! We sound the 6 week Klaxon, and look to the 8-bit and 16-bit sections of Ross’ sksp challenge with misty eyes. Oh, and Ross top-5 bombs Tom. We thought we’d pre-empt Sony’s big announcement on the 20th with an announcement of our own. 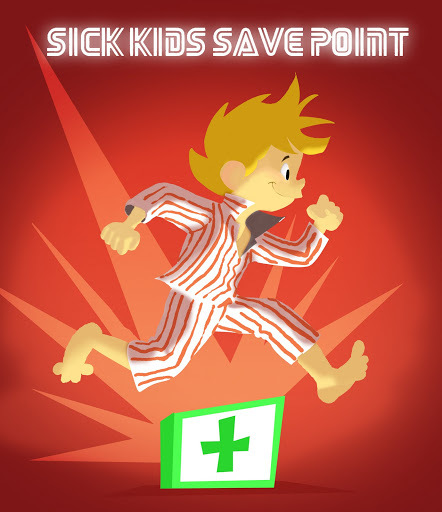 Forget the fourth instalment of Playstation, we can confirm that the fourth Sick Kids Save Point gaming marathon will take place this year, on the weekend of 11th – 13th October. If you think you could play games for 24 hours to raise valuable money for the Sick Kids Friends Foundation then all you have to do is click the button below to make a fundraising page on Just Giving, pick a slot of 24 hours that weekend, and start collecting sponsorship. We have raised over £45,000 for the charity over the last three years. This money has gone towards helping and supporting children at the Royal Hosptial for Sick Children in Edinburgh, which treats kids from all over the country. Since SKSP has been running, they have purchased specialist medical equipment for the hospital. This year could easily be the best yet. 1. Have you set up your Just Giving page? Its very quick, just follow the link below to the right. Remember to personalise it, people respond better to personal stories. 2. Are you following us on twitter and facebook? You must keep everyone informed during your marathon by posting on our facebook page, tweeting using the #sksp hashtag, or if you’re live streaming or vlogging let us know the url and we’ll post them all on this site. We need to know you’re still up, and what you’re playing. 3. Have you worked out where and when you’re playing? If you’re playing at home, does whoever you live with know the TV will be out of action for 24 hours? If you’re playing with others have you worked out whose house? If you’re going to Twitch Gaming, have you let them know? Also work out what time you want to start – An early start means you’ll be going to bed in the morning and may mess up your internal clock, but an evening start means you’re looking at 36 hours or so awake! 4. Have you asked your closest friends and family to sponsor you? Last year most of our sponsorship came from non-gamers. Part of the point of Sick Kids Save Point is to improve the image of our hobby, and now’s your chance to show that some good can be done by playing games. Tell them about the charity, and why you’re doing it. Getting sponsored isn’t as hard as you think, but you do need to ASK PEOPLE to sponsor you, otherwise it’ll all be for nothing. So you’ve picked up a flyer, and you want to know what this is all about, right? Sick Kids Save Point is a 24 hour gaming marathon organised on behalf of the Sick Kids Friends Foundation, in which gamers attempt to play games for 24 hours straight to raise money for the charity, benefiting patients and families at the Sick Kids Hospital, Edinburgh. Under 18s accumulate the 24 hours between a group. WHERE? – In your own homes, or in groups. If you think you could do it then follow the guidelines on the right on how to sign up, and welcome aboard! If not please consider sponsoring us to raise money for this vital charity – just press the button on the right to find the event’s Just Giving page.